Thomas Vanes – where are you? Tom was born on 12 July 1872 in Co Caven, Ireland and after serving in the British Army in the Hospital Corps he came, via Canada to New Zealand. He joined the Duke of Cambridge Lodge 25 July 1911 when he was a labourer at the Cambridge gas works. During World War One he did ambulance work in the King George V Hospital in Rotorua, having been a St John member for most of his life. Soon after the family returned to England where his wife and three children died in the Influenza Epidemic. Tom returned to New Zealand and settled again in Cambridge, becoming sexton of the Cambridge Cemetery at Hautapu. Friendly Society work was one of his chief hobbies. He was an Oddfellow of many years standing and was Past Grand of the Loyal Duke of Cambridge Lodge [1916 & 1921], also a member of the local Orange Lodge. 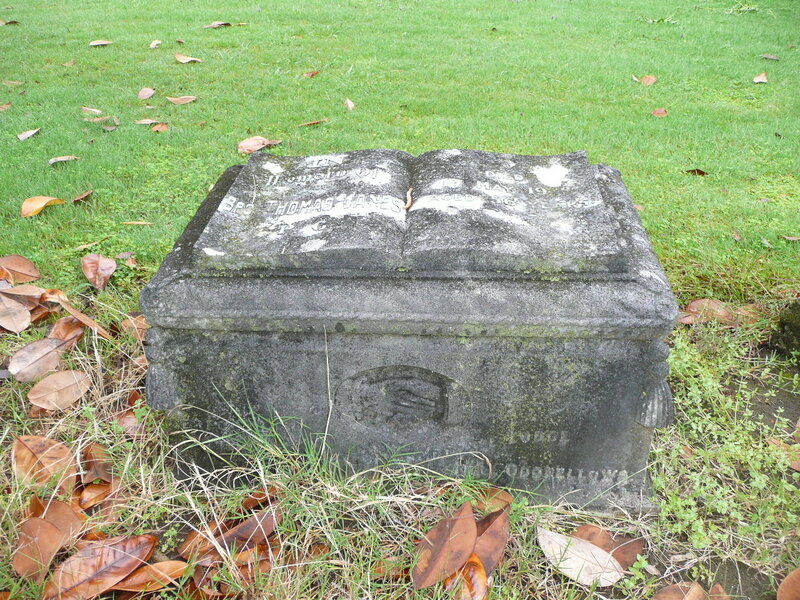 Although there was a plot reserved in 1914 in Thomas Vane’s name at the Cambridge Cemetery at Hautapu, and the newspaper reported he was to be buried in the place he tended so carefully, the Brothers of the M U Oddfellows Lodge erected a headstone for Thomas at the Leamington Cemetery!